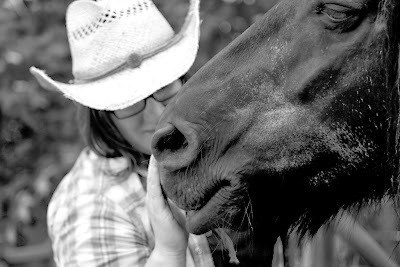 Some of you may be familiar with me and the animals that make up Cold Antler Farm, but some of you may not? New readers find their way here and are thrown right into my story. Depending on when you met me - that story could be about chickens, new sheep, dogs, cart horses, or even hawks. Since the farm is always evolving I wanted to take a minute to reintroduce myself to you. Old friends, I tip my hat for your patience and new friends, I welcome you to the clan. Cold Antler Farm is a one-woman operation on a 6.5 acre homestead in upstate New York. The center of its gravity is a compact Civil War Era farmhouse built into a side of a humble mountain. It sits amongst a small empire of fields and fences hugged tightly by forest, streams, and a pond. It sounds idyllic, but it is far from. CAF is a scrappy place held together by hope and force. But don't let the sagging fences or chicken poo on the front steps fool you. This place is paradise. To get there you need to drive four hours north of New York City and find the right winding road off a lonely two-lane rural highway. That is where you will find me ( Jenna Woginrich -31) because that place is my everything. I wasn't raised on a farm or ever around farmers growing up. Farming wasn't even on my radar until after I had graduated from college with a BA in graphic design. My skills as a designer allowed me to work for any company that needed a designer, so I worked everywhere from the Southern Mountains of Tennessee to the Northern Rockies in Idaho. I lived in cities, towns, and eventually ended up on a retired cattle farm out west. While working full time in an office job I flirted with the idea of growing some of my own food and raising small livestock in my rented backyard. These adventures in mini-steading excited me beyond measure and I was becoming less of the Jenna everyone else knew and more of the Jenna I secretly wished to be: a farmer. It was during this flirtation stage with homesteading that I wrote my first book abourt learning to simplify. My fifth books comes out in a few months. All of my books are about my journey towards home: the animals, food, and experiences along the way. I kept backyard farming, adding animals and growing more vegetables, until I realized my two worlds were at a crossroads. I had to choose to be a farmer and give it my all or scale back to a few hens again and remain a corporate employee. It turns out that passion has a way of making decisions for you. Because while falling in love with agriculture I became diagnosed with a disease of great consequence—Barnheart—that wouldn't allow me to spent any more time working indoors for strangers. Since then I have never looked back. I have been keeping the animals fed and lights on through a combination of work, wits, and luck. I live a scrappy and creative life beside many animals including (but not limited to) dogs, cats, horses, sheep, goats, poultry, and pigs. I garden, hunt, and keep bees. I trail ride, drive, and travel with my horse whenever I can instead of my dented pickup truck. I am far from rich (usually just scrapping by) but extremely wealthy in experiences, friends, and a love for this life I chose. Legally, this farm is mine but ownership is something ruled by paperwork, banks, and handshakes, isn't it? Honestly, Cold Antler owns me. Everything I do from the moment I wake up to the time my tired body falls asleep at night is ruled by the needs of the land, animals, and community around me. I wouldn't want it any other way. Homesteading is it. No life in the history of human kind demands so much but gives you such amazing returns. Fresh eggs at dawn, warm milk in the pail, food from the good earth, and the feeling of wind on your cheeks during a nap in the hay. May I receive them without flinching, as the ol' prayer goes. I am the in a great debt to this place as it brought me the most exciting and wonderful years of my life thus far. I knew nothing about agriculture when I started and now I work draft horses in harness, breed sheep, milk goats, and have the confidence to send my horse at a full gallop up a mountain trail with my border collie running beside me. It took years of mistakes, failures, joys, and wonder to make this place, and the woman I have become. Which is to say a happy woman. Nothing special, just a stubborn, dirty, grinning woman bent on making her life the one she always dreamed of. Keep reading to see where the story flows next. I'll be here. I love that video! It captures the spirit of your blog perfectly and I'm sure, that of your farm and books. I've been visiting here a while. That story you told where you were up the hill and looked back to see a figure standing at the window of your farmhouse? That was the one that caught me. And do you remember the film clip of you playing the fiddle on the porch as a storm blew in? I think of that and grin whenever someone moans about the weather! Great video Jenna. You are an inspiration to me and I'm just starting out on my own farm. It is work, hard work, but I love it. There is no better gym in the world. Beautiful, you are such an inspiration. I loved your book,it lead me here. Jenna - thanks for the summary - I have been 'with you' on this adventure for a while via your books, and the blog. It was great to pay a quick visit to Cold Antler last April whilst on our NY VT ME road trip. I tell as many people as I can about you, and always include a link to your 'first year' video, which has me overwhelmed with emotion everytime, laughing and crying along with that wonderful music. mine and wish I made time to practice more often! I'm a new reader of yours, and am currently suffering from Barnheart. What an accurate diagnosis! You have a very inspiring and oddly comforting blog, and I hope to one day get out of my big city blues and take my baby steps towards farming on some scale. Urban, micro, mini, full fledge farming. Must. Gaaah!